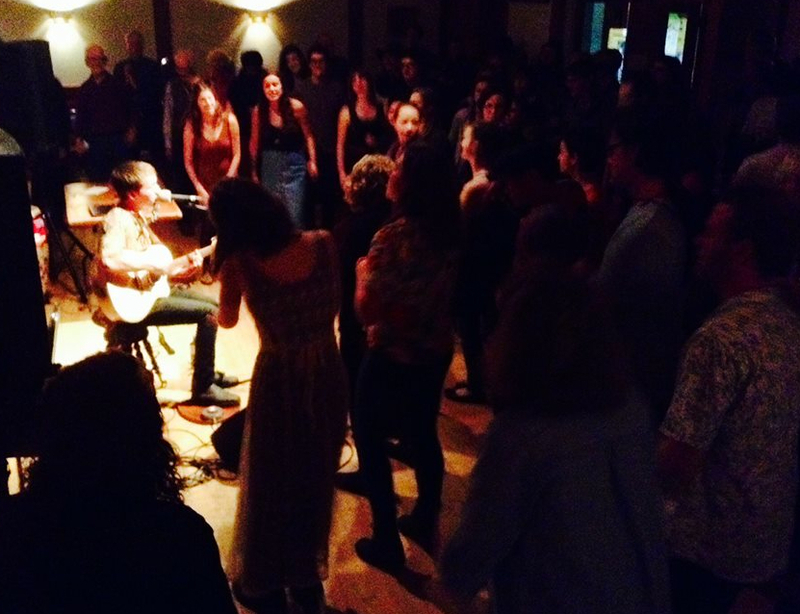 On November 4th a hundred and fifty Walbran supporters packed the Norway House to listen to Luke Wallace ( pictured) deliver an uplifting performance, with a message of democracy and environmental sanity. The benefit for more affordable transportation options for overcoming socioeconomic barriers to accessing the magnificent and endangered Central Walbran Valley, was a smash success, far exceeding our highest expectations! It raised a whooping $4000 to help buy a 15-20 seat community action bus which will run on biodiesel/ SVO and offer zero- carbon emissions. Tjis will be a communal/activist transport at an economy of scale taking people into the heart of the Walbran valley, to enjoy and protect the natural beauty and biodiversity of this rare ancient rainforest. With an agreement with Friends of Carmanah Walbran, to ensure its availability for expeditions, the vehicle will be purchased, owned, maintained and driven by the fine folks at Social Coast who have raised another $5000 to make this acquisition possible and have experience and expertise in all there is to know about buses! We will be now looking for another $ 5000 to cover insurance, registration and establish a maintenance fund. Donations can be made to friendsofcarmanahwalbran@gmail.com. Thanks everyone who has so warm heartedly helped out! We are wishing to offer a bus tour, on the Social Coast’s 40 seater, to Wildwood ecoforest near Cambell River, as our next fundraiser, will keep you all posted about that!